Don’t worry, gardening doesn’t come easy to everyone. If you’ve managed to kill every plant that has crossed your path, this post is for you. 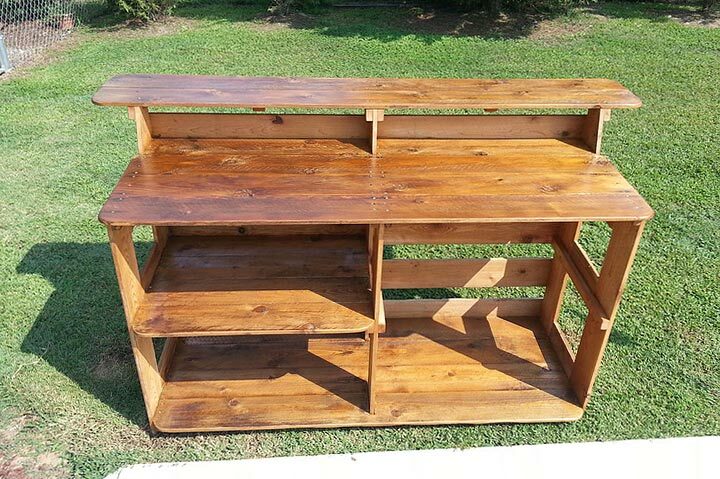 Black-thumbed gardeners, rejoice! 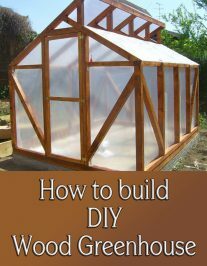 You can once again enjoy the act of growing plants without the heartache of killing them. There are plenty of low maintenance houseplants out there that will tolerate a fair bit of abuse from their caregiver. The following plants are understanding of your not-so-green thumbs, and some of them will even thrive through neglect and forgetfulness. Read on to find out which 10 plants are the most low maintenance and difficult to kill. 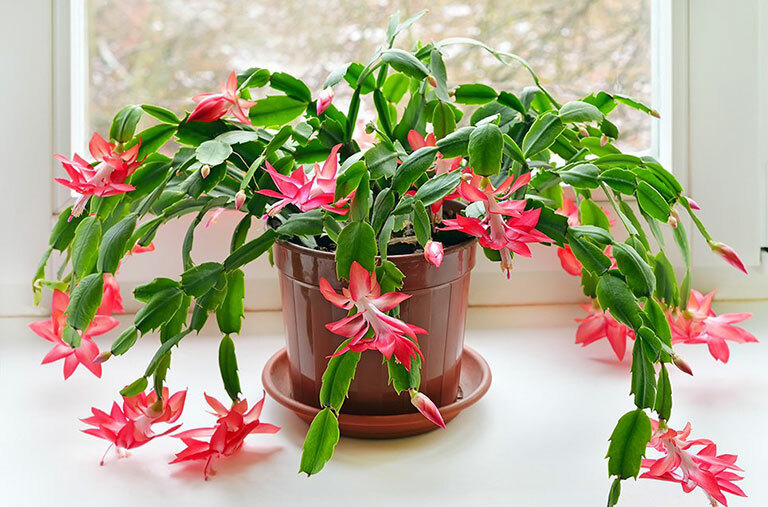 The Christmas cactus loves bright but indirect light, although it can thrive in low light spots as well. 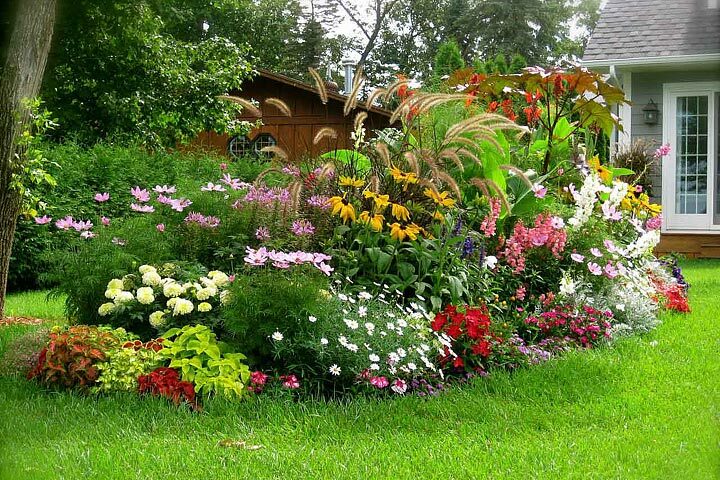 It only needs to be watered when the soil has dried out. Under the right light conditions it will develop bright showy flowers around Thanksgiving and Christmas time, which is exactly where it got its name. Jade is the perfect plant for black-thumbed gardeners. It loves to be ignored and thrives in dry conditions. Forgetting to water this plant for a few weeks won’t hurt it at all. In fact, like most other succulents, it will appreciated being watered only when the soil is completely dry. Jade can thrive in moderate light conditions and only need to be re-potted every few years, making it a great low-maintenance plant. Aloe is not only a beautiful and interesting plant for your home, it’s useful too. The leaves of the aloe plant can be squeezed and the resulting juice works wonders to heal cuts and burns. Like jade, Aloe thrives in dry conditions and doesn’t need frequent watering or feeding. 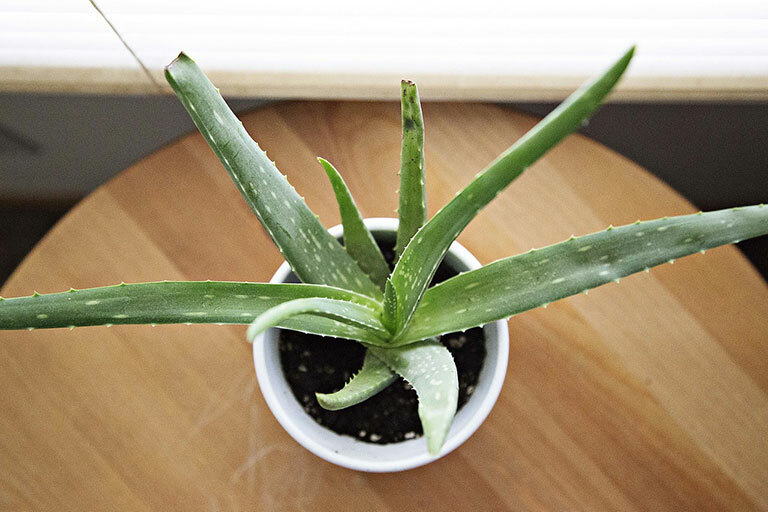 Aloe loves bright light and can also be moved outside in the summertime, when it grows the most. Aloe goes dormant in winter and needs even less care. 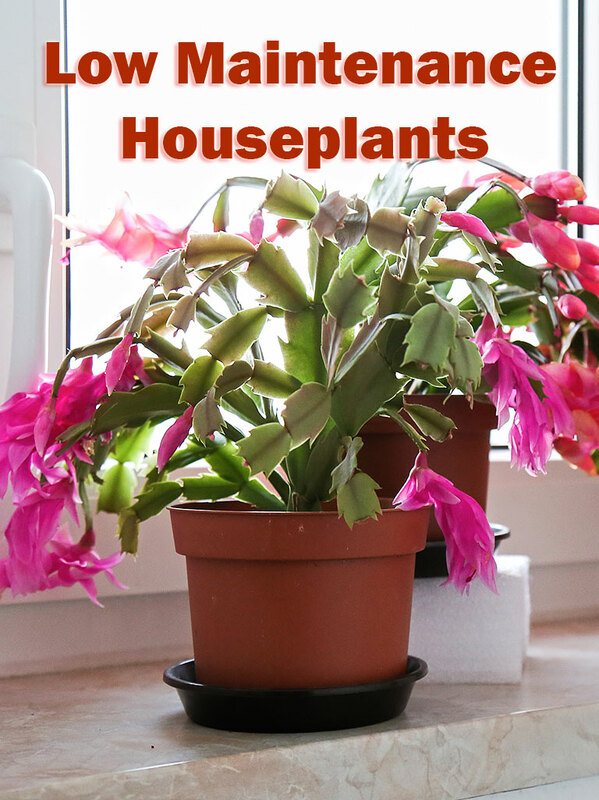 These beautiful houseplants enjoy moderate light and smaller pots. 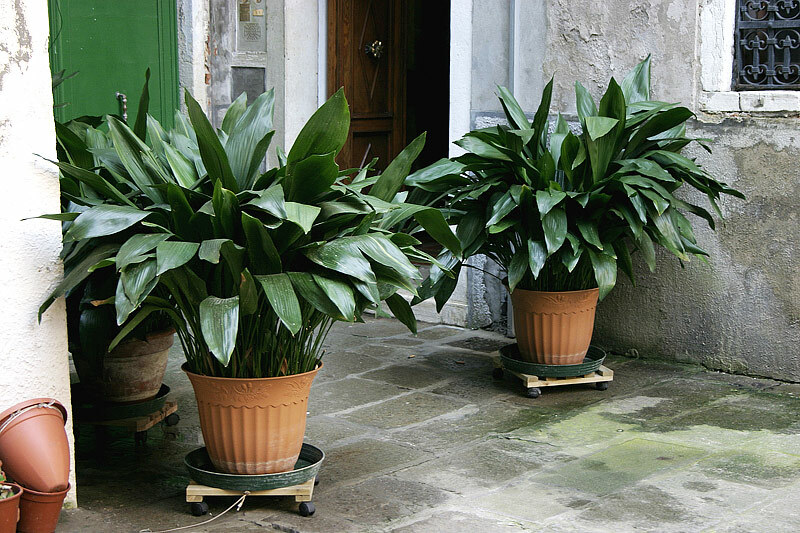 It likes the roots to be slightly cramped, so doesn’t need to be re-potted as often as other houseplants. Keep the soil moist, but don’t water too frequently to avoid root rot. Cut back on watering and feeding when the plant goes dormant in the winter. 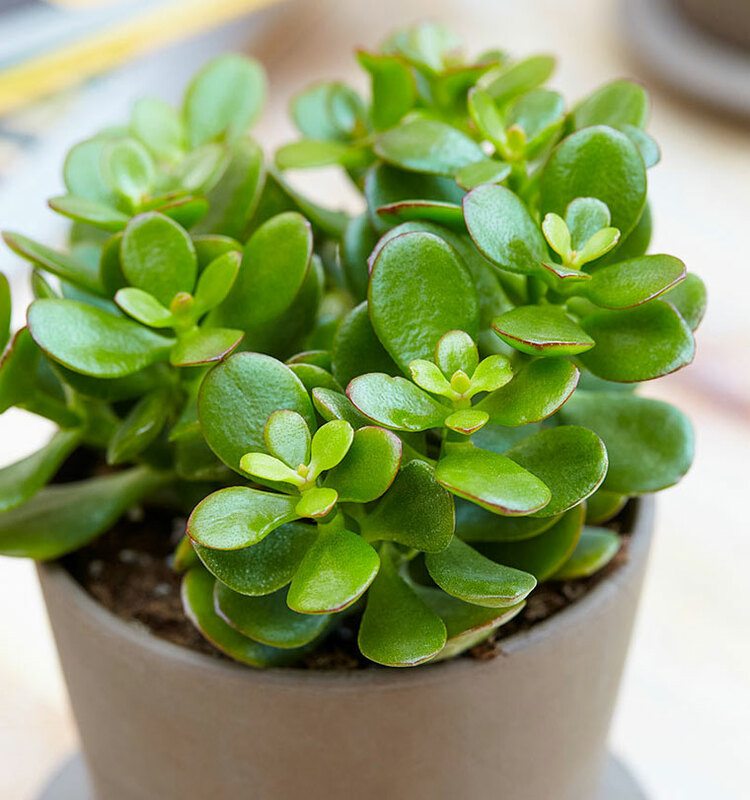 Caring for this plant is a piece of cake, and is widely agreed upon as the easiest houseplant to grow. 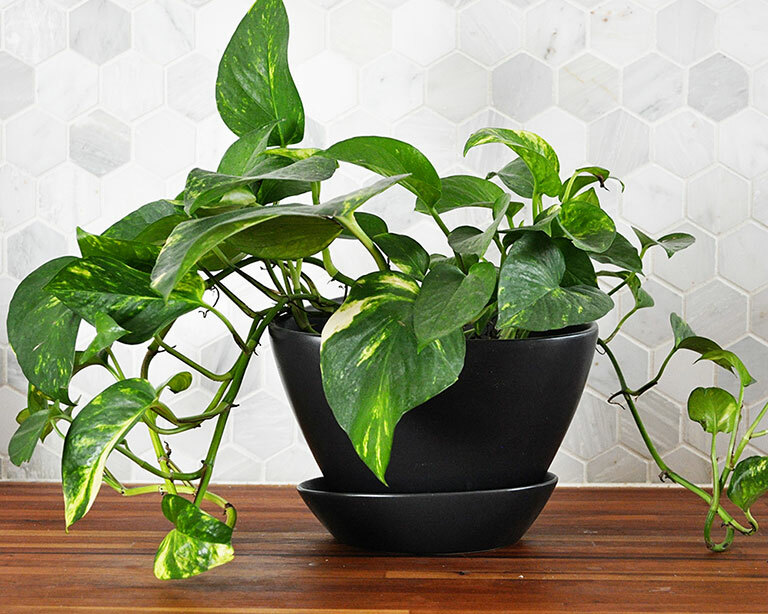 Pothos thrives in low light conditions, it’s one of the only houseplants that will be fine in any room of your house. If you forget to water these beauties, they’ll only love you more as they prefer the soil to dry out completely between watering. 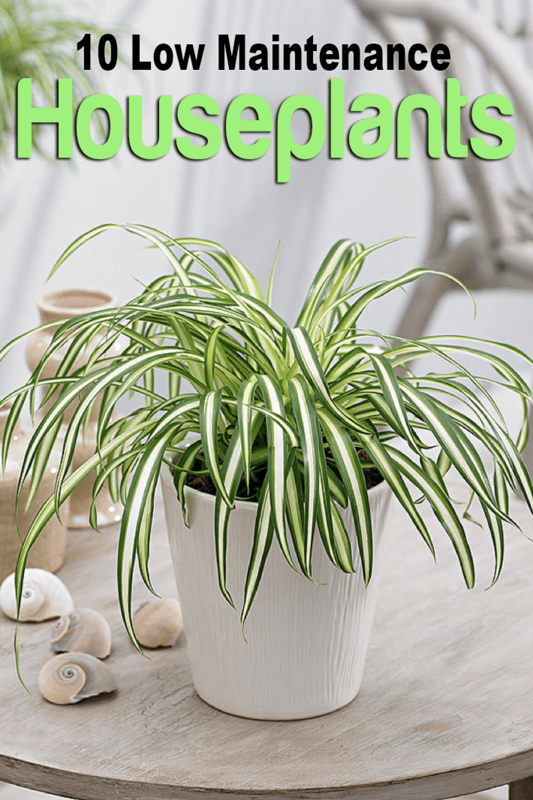 Spider plants are the ultimate low-maintenance houseplant. They tolerate lots of abuse and are great for a first-time gardener. They prefer to dry out between watering, and enjoy being a bit root-bound, so don’t worry about re-potting until the roots become visible. 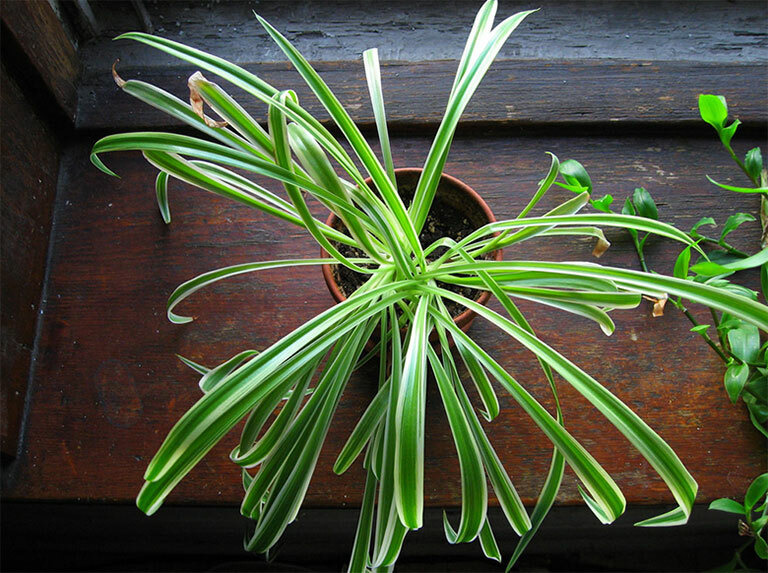 Place a spider plant in a well lit area and watch it flourish with baby plants and flowers. Air plants are easily the most trendy plant to keep, and will grow just fine in almost any conditions. This unique plant doesn’t require soil to grow, so it can be displayed in a number of creative ways. 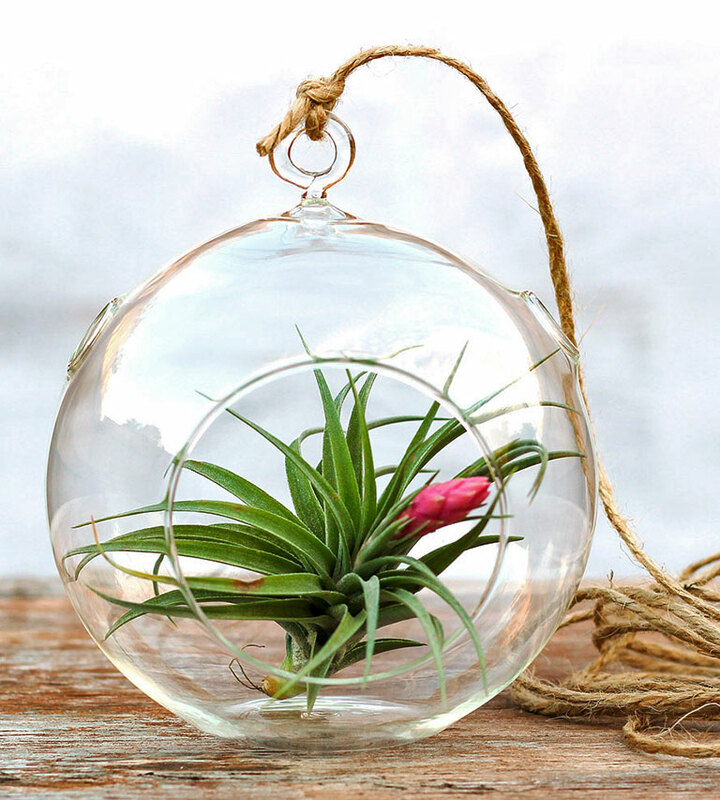 To care for an air plant, just mist it with water every week, or submerge it in a cup of water for a minute. Air plants enjoy moderate to bright light, but make sure they’re not sitting in direct light. This beautiful plant grows well in bright but indirect light. It tolerates drought but appreciates a good drink of water when the soil dries out. 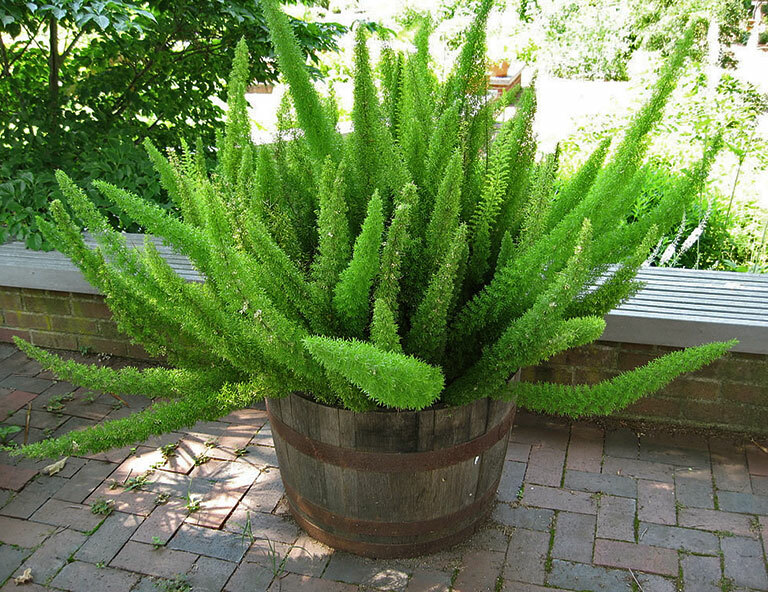 Slow down on watering in the winter, and feed moderately in the spring and summer to keep your asparagus fern happy. The toughness of this plant is right there in the name. This plant is almost impossible to kill as it will tolerate drought, darkness and high heat. 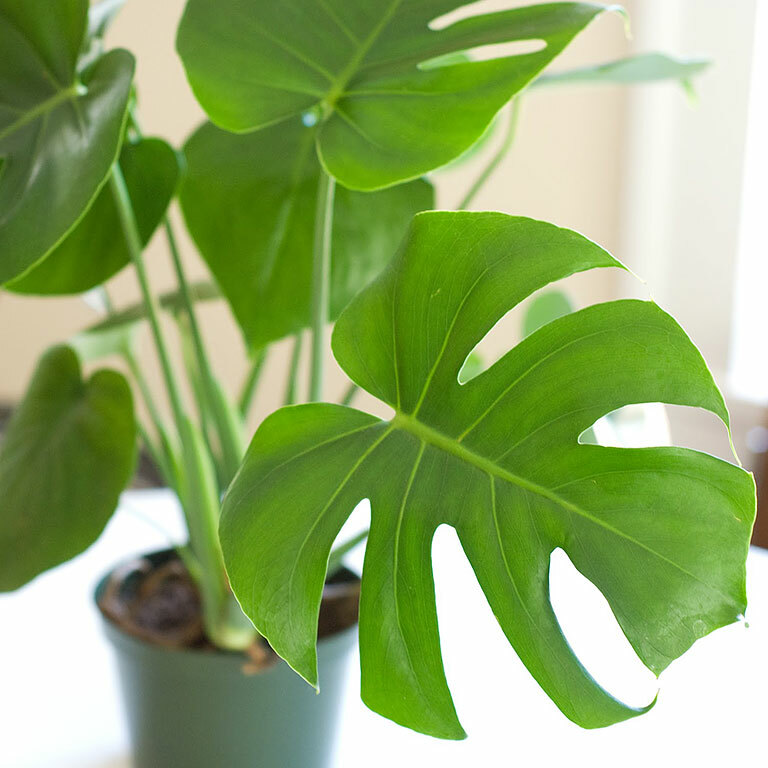 It thrives when it is left alone, so don’t water too often and don’t re-pot it frequently. 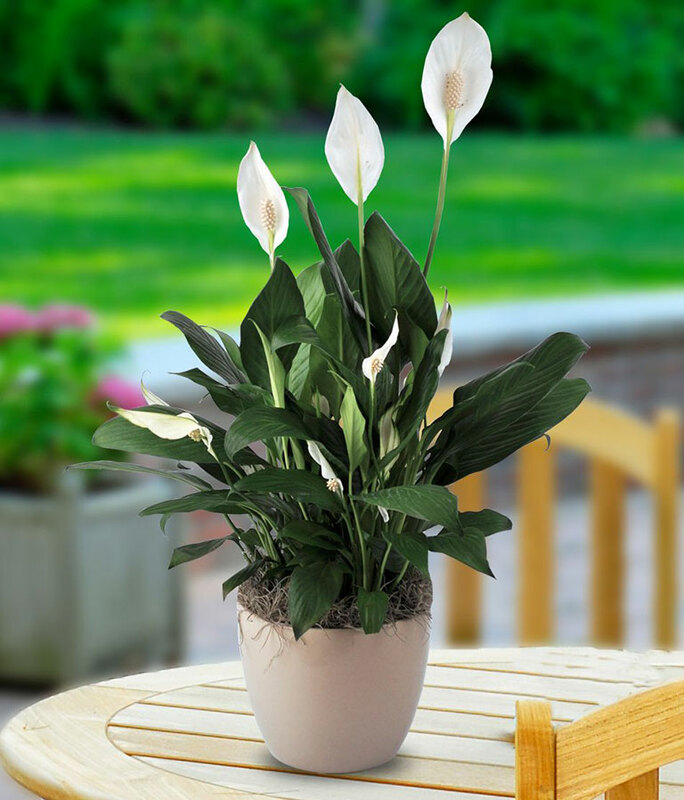 Peace lilies prefer low, indirect light, so they can grow just as well in an office as they will on a windowsill. Peace lilies love to get a lot of water all at once, then dry out between watering. Droopy leaves are a good indication that the plant needs water, which makes it very easy to care for. As a bonus, the peace lily is also one of the best air-purifying houseplants!